Planning for 2012? Don't forget to add an extra day to February. The Gregorian calendar that we all know and love is a tricky beast, filled with weird irregularities including variable month lengths. But that could soon change, if two Johns Hopkins researchers get their way. They want to introduce a more rational new system, which they're calling the Hanke-Henry Permanent Calendar. "Our plan offers a stable calendar that is absolutely identical from year to year and which allows the permanent, rational planning of annual activities, from school to work holidays. Think about how much time and effort are expended each year in redesigning the calendar of every single organization in the world and it becomes obvious that our calendar would make life much simpler and would have noteworthy benefits." So you would have a permanent calendar that didn't need changing from year to year — but Henry and Hanke have gone beyond that. They want to switch the entire world to GMT, completely doing away with timezones and daylight savings - even if that means the sun rises at 8PM in your neck of the woods. "One time throughout the world, one date throughout the world," they write. "Business meetings, sports schedules and school calendars would be identical every year. Today's cacophony of time zones, daylight savings times and calendar fluctuations, year after year, would be over. The economy — that's all of us — would receive a permanent ‘harmonization' dividend." And what about those pesky leap years? Well, how about a leap week that hits every "five or six" years? This is hardly the first attempt at calendar reform, and in fact is quite similar to a number of existing "perpetual calendars", but the whole universal time zone thing is a unique stroke of madness. 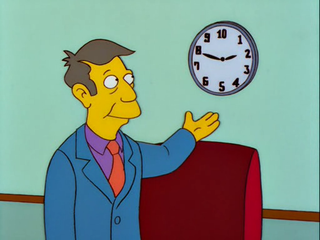 I can see the argument for saying that a more regular calendar would be helpful, but uniting the world under a single time zone would surely mean that everyone just ignores it, and wakes up at a useful local time regardless. Plus, while reading this, I had a hard time shaking off a general feeling that this is a prank proposal, even though it appears to be at least vaguely serious.